St Louis foreclosure activity in January was at the rate of 1 in every 1,533 households, which is down almost 16 percent from December and down over 25 percent (25.79%) from a year ago, according to the latest data from RealtyTrac. 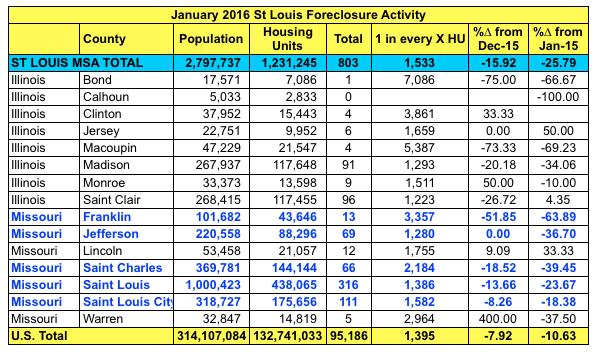 As the table below shows, the county in the St Louis MSA with the lowest foreclosure rate in January 2016 was Calhoun County Illinois, with no foreclosure activity for the month, and the county with the highest rate was St Clair County Illinois with 1 of every 1,223 housing units having foreclosure activity during the month. 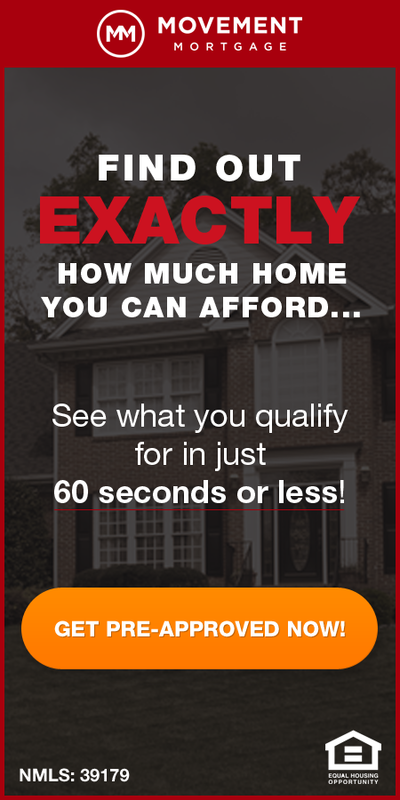 St Louis County had the highest foreclosure rate of the Missouri counties within the St Louis MSA, with one in every 1,386 housing units having a foreclosure activity.